The concept is fairly new to most of us (although we are all familiar with the carrot cake) but is growing in popularity. With good reason too, it seems. Tempted, or completely put off by the idea?… I have prepared a short series of blogs to explain a little of the science behind the concept and hopefully to convince you to give it a go! 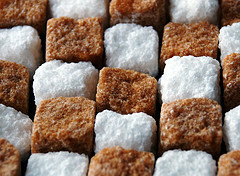 In this first blog I will look at the sugar content of vegetables and how it contributes to the flavours in the baking. Firstly, what defines a vegetable? We can be a little more specific when defining a fruit as its botanical definition is the ovary of the flowering part of the plant; to put this more simply it is any fleshy material covering the seed, or seeds, of a plant. In general people tend to define a vegetable as a plant used in savory meals and a fruit as a sweet option.This is a tricky one as there is no real scientific definition of a vegetable. Although there are some generally held guidelines these too vary depending on the classification, criteria used and even the Country you live in. The most common definition of a vegetable is a plant grown for culinary use. So far, so good, right? However you don’t have to look too long to find that the lines are very blurred …. for example, in the botanical sense courgettes, tomatoes, pumpkins, squashes and avocados are actually fruit. Then there is the question of whether mushrooms are vegetables (technically speaking they are not plants but fungi); and what about potatoes? Due to their high starch (carbohydrate) content they are grouped with rice, bread and pasta and are not included as one of our “five a day”. So the truth of the matter is I cannot actually define a vegetable for you. 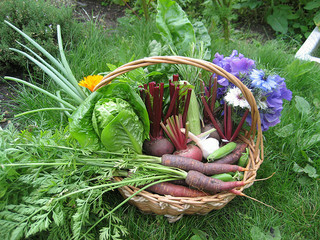 All I can say is that, for the purpose of this blog, I am going to lump all these in together as vegetables…. potato, tomato, courgette, even the mushroom (although as a scientist that one grates on me a little)! Why use vegetables in (sweet) baking? We all enjoy a nice baked cake now and again and naturally associate the sweetness of fruit with the sweet treat. No one needs to be persuaded of the virtues of a lovely homemade apple tart! The key to adding fruit is, primarily, to exploit and enjoy the sugar contained within. When we think of vegetables we tend to think of a more savory dish, however vegetables do contain sugars as well as fruit, and some in quite significant amounts. Some of the sweetest vegetables include carrots, beets, peppers, potatoes, peas and corn. Just to give you an idea….carrots contain approximately 4 grams (g) of sugar per 100 g, while beetroot contains up to 8 g per 100 g. Compare this to an apple that comes in about 10 g sugar per 100 g or a strawberry, about 4.5 g per 100 g. We begin to understand why Dee’s Beetroot Chocolate Cake was so well received by her family! What sugars do we find in vegetables? Now we begin to realise the extent of sugars present in many vegetables, but what kind of sugars are they? Another sugar found naturally in vegetables is Sucrose, what we know as common table salt. Sucrose is made up of the two sugars glucose and fructose. Most plants make sugar through the process of photosynthesis. Vegetables make a simple sugar called glucose in this manner. Glucose is a single sugar molecule that is the ultimate energy fuel for our brain and body. Long chains of glucose form the polysaccharide known as starch. The longer a vegetable is left on the plant the more likely it is to convert its glucose into starch for storage purposes. We are able to consume this starch and break it back down into its glucose molecules. Finally, vegetables also contain sugar in the form of fibre, known as cellulose. We do not metabolise cellulose very well and do not absorb the component sugars into our bodies. Fibre is a necessary part of our diet though and helps us to maintain a healthy digestive system and a balance of good bacteria within our intestine. So why do we consider vegetables a more savory dish if they are so full of sugar? The answer lies in the way we cook them. Firstly we need to understand a little of the science behind the process. I have talked about the Maillard reaction in a previous blog, but feel it needs another mention here as it is primary to the discussion of baking, vegetables and sugar! The Maillard reaction was developed in 1912 and is named after the French Scientist who first proposed it! Basically it says that when you mix sugar and amino acids (protein) at high temperatures they react to form a variety of different flavours and aromas. When we add vegetables to our baking the high temperatures of the oven allow the aldehyde group of the simple sugars found in the vegetables to react with the amino (nitrogen) group of the proteins present in the mix to create a variety of pleasant tasting compounds. When we boil or steam vegetables the heat and moisture do not lend themselves to the browning/sweetening reaction described by Maillard, therefore they have a much more savory taste. If you need a little convincing just try a little experiment of your own…. prepare a vegetable such as carrot, beet, squash or pepper in two ways… boil one lot and roast the other. A quick taste test should convince you what Maillard was talking about, even if the Science is a little baffling, even to the Scientists! Tune in next week when I will discuss how vegetables contribute to the texture of baking, while Part 3 of the series will be the “proof in the pudding” blog with lots of tasty recipes to try. In the mean time… if you have any comments, tips or experience to share please leave a comment below; I always love to hear from you and will be sure to reply! Science blogger and writer; Owner of Dr. How's Science Wows; Mother of three junior scientists who have taught me that to be a great scientist you need to look at life through the eyes of a child! ← Can you name this Creature? Brilliant article, and as Dee says above, fascinating. 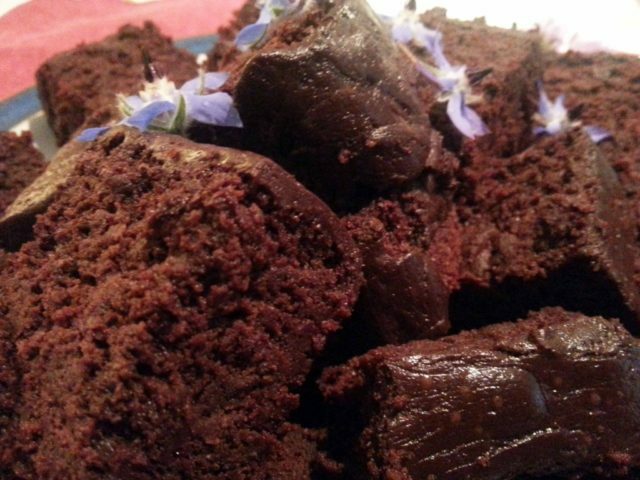 I’ve experimented with courgette and chocolate cake and it was a huge hit so I will definitely be trying more ideas. Wow, that’s a fascinating insight into the science, you’ve described the process very well. Thanks so much for the lovely comments and the link too, though I think your blog is great!